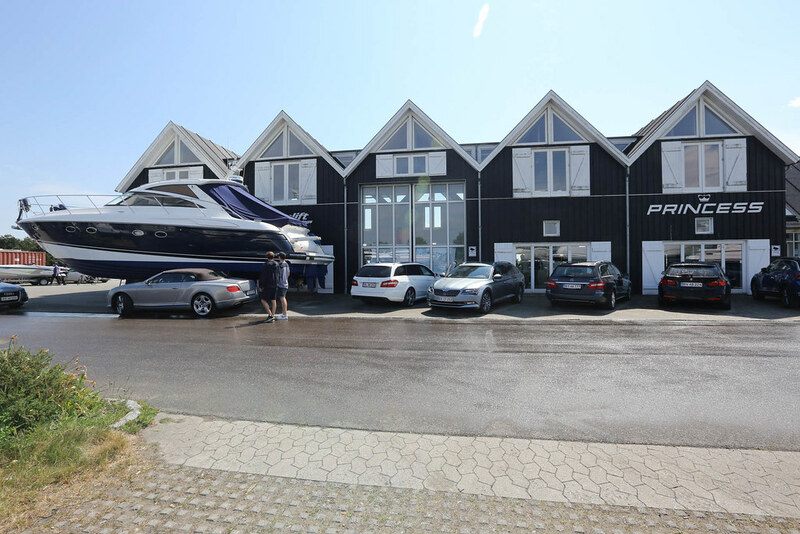 Princess Yachts is one of the marine industry’s most respected brands. The factory in Plymouth in southwest England, with over 3000 employees, has manufactured motorboats since 1965. The wide range between 35 to 131 feet, e.g. 11 to 40 meters, is constantly developed. 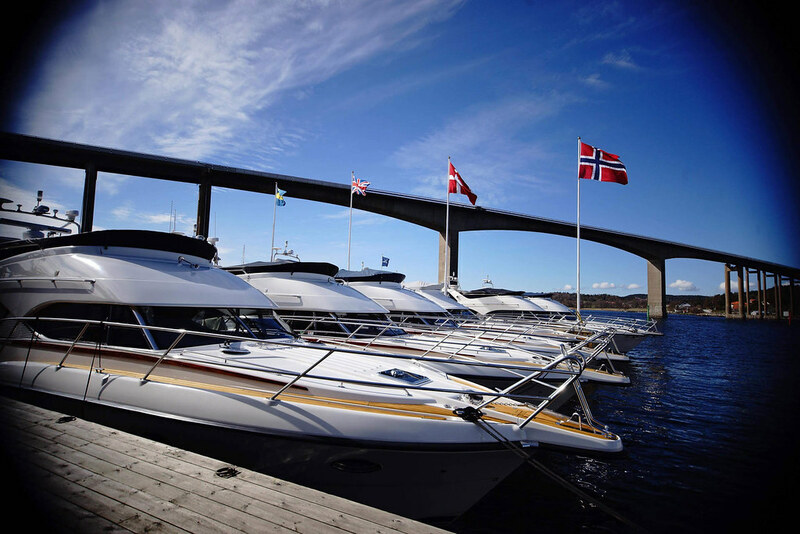 We welcome You to one of our marinas in Scandinavia; on the Swedish west coast, in Denmark or western Norway. The passion for boating and a life time in the marine industry have given an expertise of boat sales, maintenance and aftercare. Premium yacht service for You who buy a boat from us! A small industrial unit in Newport Street, Plymouth was the birthplace of Princess Yachts in 1965. Founded by ex Naval Officer David King, who is still engaged in the company. Princess has developed into one of the most successful and sophisticated motor yacht builders in the world. Over two thousand five hundred people building around three hundred yachts annually in six huge factories in and around Plymouth. Princess Yachts was the first European company to be awarded ISO 14001 for its quality control. Even construction techniques are at the very forefront of technology. Cutting edge precision composite construction and resin infusion technology have almost completely eliminating emissions in the workplace and for the local environment. The technology also reduces weight which increasing fuel efficiency and performance, whilst maximising interior volume. Stiffer, stronger superstructures grant larger glazed areas gifting the interiors more light and panoramic views. The world renowned naval Architect, Bernard Olesinski, has overseen the conception of the hull and superstructure elements of every new Princess Yacht for over thirty years culminating in the super-efficient hybrid planning technology of the most recent models. Princess deep V hulls deliver the finest sea keeping and ride, ensuring guests and crew are kept comfortable and safe. Princess Yachts International was acquired in 2008 by L Capital 2 FCPR, an investment group co-sponsored by LVMH (Moët Hennessy Louis Vuitton) and Groupe Arnault. In January 2016, L Capital merged with Catterton to become L Catterton, now recognised as the largest global consumer-faced investment firm. We help you with every practical things when buying a boat! Are you looking to buy a new or used boat? It would be our pleasure to guide you in your choice of boat and equipment. Together we can visit the shipyard and look at different models. Let us discuss what is important to you and your family and we will do our utmost to find the boat for you and make the buying process into a memorable experience. We will set up the contract and make sure all other necessary documents are handed over to you as a new owner of the boat. For example, it often involves the Builder’s Certificate, ownership transfers such as Bill of Sale, Declaration of compliance with CE certification, Ship registration etc. As yacht broker we can help you sell your present boat. We are specialized in brokerage of used boats in good condition of all kind of type and brand. After a lifetime in the marine industry, we have many contacts and we use international sales channels. After our international market survey we discuss the possibilities together with you and then we organise refurbishing for you. As soon as the boat is refurbished and the maintenance has been completed, we make a professional marketing material including photos, video and equipmentlist and the the sales process can begin. We can provide boat financing or leasing via bank contacts to customers living in some countries. The boat is then used as collateral for the loan and how much you can borrow varies from country to country. The loan period can be up to 20 years. Together we set up a repayment plan that is tailored to the size of your loan and model of your boat. Initially, we do ourselves an inspection of the brokerage boat. Before the final delivery, we also recommend inspection survey by an authorized inspector. Normally the inspection begins first on land and then on the water. When the survey protocol is handed over by the inspector after a few days we will go through it together with the buyer and the seller so that both parties are aware of the boat’s condition and come to an agreeing on possible measures which might be needed. 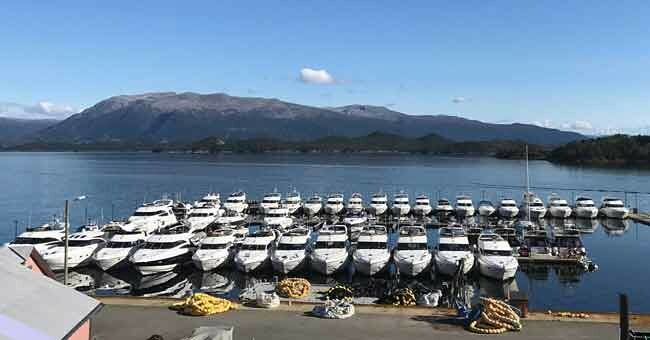 Is the boat your are interested in buying missing some equipment? We are happy to install more equipment. Maybe a GSM tracker or an alarm? Uppgrade of the navigation systemet with stern camera or AIS connected into the plotter? Are you not satisfied with the color scheme onboard? Do you think it is difficult to trim the angle of the boat, have difficult getting the boat info plan or suffer from sea sicknes? If so, we can fit automatic trimtabs and stabilisation system. There are several insurance companies that offer boat and yacht insurance. What insurance you should choose depends on factors such as the age of the boat and in which oceans the yacht will be used. The conditions are often difficult to compare, but together, we go through what is important to think about and highlights the differences so that you as a boat owner can take the right decision. We work with the insurance companies Atlantica, which is active in Scandinavia, and Pantaenius, which offers insurance worldwide. 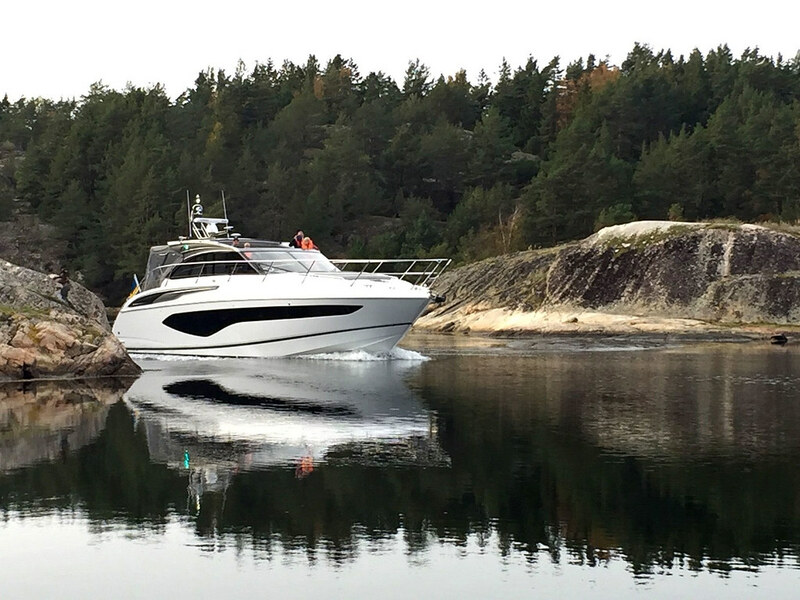 Well before delivered the boat is launched and we perform a thorough testing and testdrive to make sure that everything on board is functional. Then it is time for technical briefing and training with the boat’s new owner. We recommend that the entire family or crew is present at the handover where we together have a thorough test of the boat and equipment. After the education, training and a satisfactory test drive, you can move on board and stay as a guest in the marina the first night. It tends to be a number of new questions that we go through the next day. Maybe you as a buyer would like help to arrange the transport home. Sometimes from a country or coast to another. We have good relations with carriers who can transport the boat on trailer, or skippers who can sail the yacht if you prefer the sea route. However, we recommend that before home transport to take advantage of handover procedure which in addition to training and familiarity with the new boat also provides an opportunity to make sure all equipment works. We want to provide a solid foundation for an enjoyable experience onboard your new boat! If your boat is not used all year around it is a good idea to take the boat on land during winter season to dry up properly. The best thing is storage inside a warm facility thouthout the winter. An alternative is to let the boat dry up properly, e.g. a few days indoors while performing maintenance service and refurbish, and then stored in a cold hall or covered outdoors. We will organize it all for you. 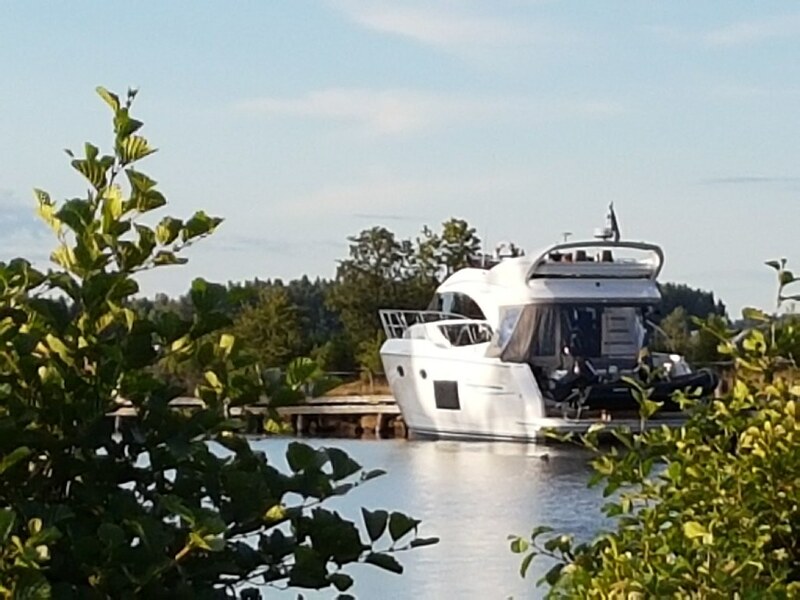 You leave and pick up the boat at the dock – or we will do it – smooth and comfortable for a enjoyable boating. 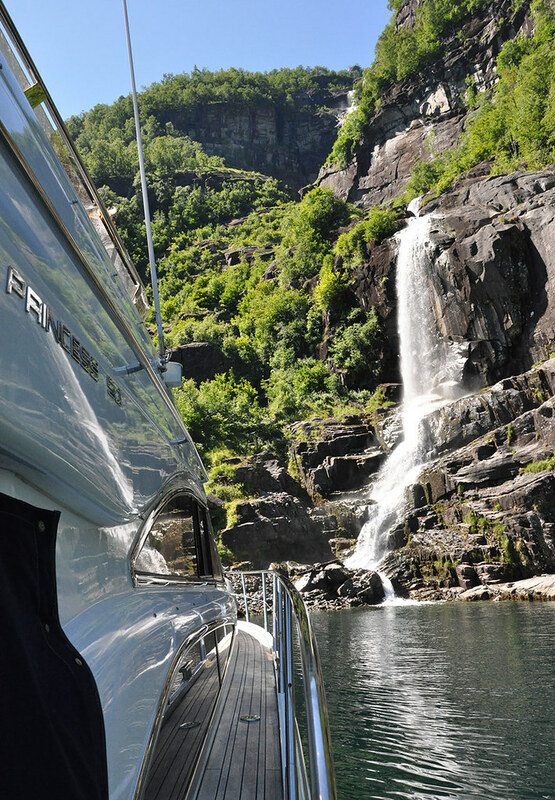 Regular service of engines and onboard systems is crucial for a joyful boating. Although your boat is not brand new, you can get a “new boat” feeling with a proper refurbish. With our experience of boat building and refurbishing of used boats we know what to do to get the desired effect. Together with you, we discuss and agree about an action plan which is offered and carried out by us or one of our partners. We monitor, inspect the work and document it with a checklist. When it is time for delivery, you can just enjoy the results. 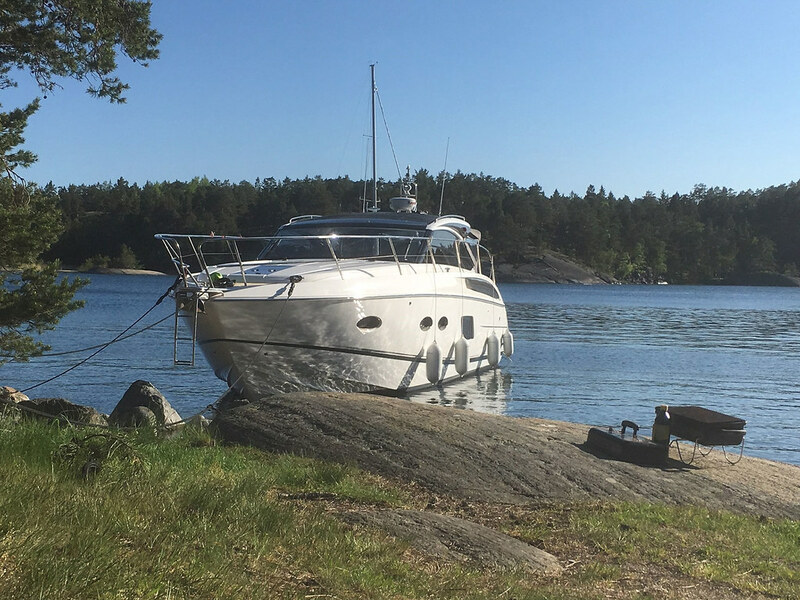 When something unexpected happens, it is important for boat owners to be able to get help, even during the summer season. Therefore, our clients are always welcome to contact us for professional service and support. Sometimes a little guidance is all that is needed, or we can arrange for a visit, either with our own staff or from one of our cooperation partners. We also have a large network of contacts among suppliers in the marine industry so that spare parts and technical support is always close at hand. Boating has different meaning and significance for all of us. Freedom, relaxation, friendship… Perhaps it is the peace of a calm bay and to start the morning with a swim that attracts? Or the community and joy between friends who share the same interest? Onboard there is no obligations, it is enough just to be – and to enjoy life together. Do you want a summer residence by the sea? Do you have limited time to care about a house and garden? 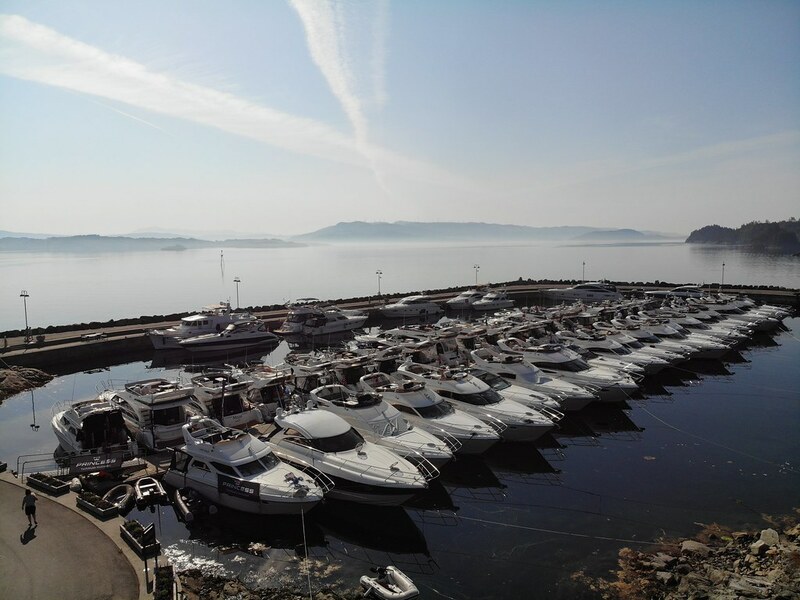 Tell us about your wishes and we will guide you through the purchase of the right boat and help you arrange everything around, such as berth, transportation, laundry, maintenance and winter storage. Do you dream about the Mediterranean’s warm climate and turquoise waters? We would be happy to ship your new boat to warmer latitudes. The French Riviera, Majorca or Croatia’s beautiful archipelago in the Adriatic Sea. Within our network, we can arrange financing, leasing, transportation, service and maintenance, berths, and someone who takes care of your boat. Discover exciting new places and cultures with family and friends. If you are interested in renting your boat to make a small contribution to the holiday fund? Contact us and we’ll tell you more. Would you like to try boating in the Adriatic, Mediterranean or Caribbean before you bring your own boat there? 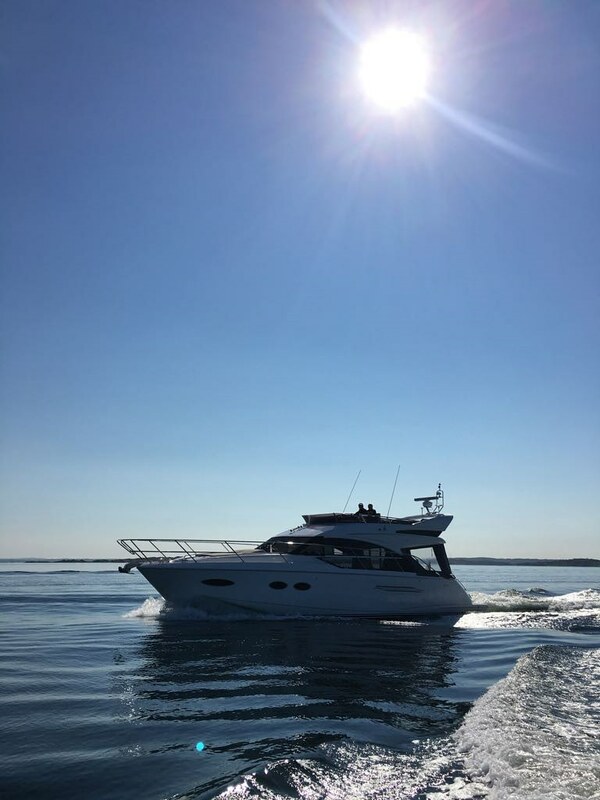 Do you and your friends like to spend your holidays together, why not charter a Princess yacht next time? Contact us and let us know your wishes and we will help you book your dream vacation. If you miss some parts in the webshop, please contact us with a request including informartion like boat model, hull identification or yard number, description of what you would like to buy and a photo of the product. We also sell fun and useful accessories for your boating! Your yacht is your haven, so the wellbeing of you and your family is of upmost importance to us. That’s why we now offer ‘Princess Lifeline’ powered by MedAire. A 24/7 SOS service providing all new owners with 2-years free access to medical and security assistance. One phone call connects you to MedAire’s team of over 200 global security experts and 80,000 accredited medical providers who can assist you in the event of a medical or travel safety emergency. You can relax on board knowing everything is taken care of. We are many who share the joy of boating. 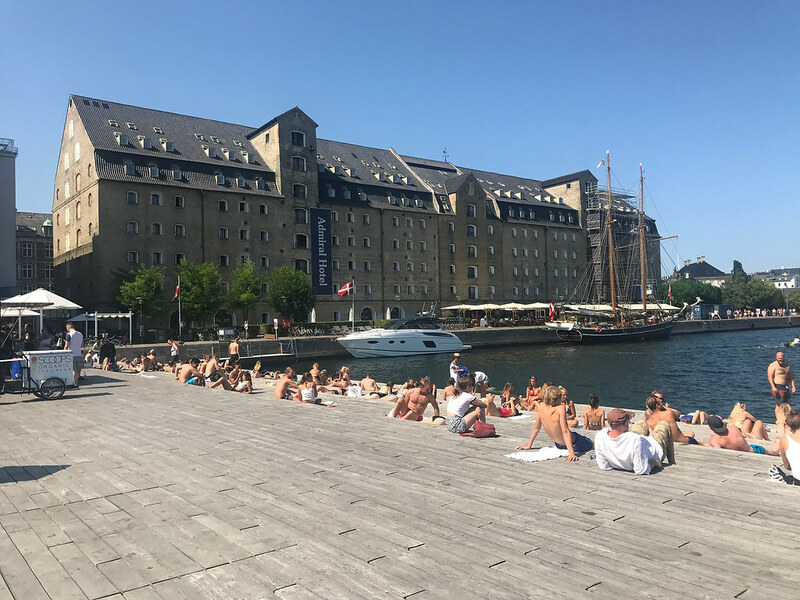 What could be nicer than meeting new and old friends and sharing experiences in our beautiful archipelago, enjoying each others company and good food. Join one of the communities today! Please send your favorite Princess photos so they can inspire others. Most of the images will be displayed, after review, in the Owner’s gallery and can be used on our social media, in print material or in other ways in our marketing. 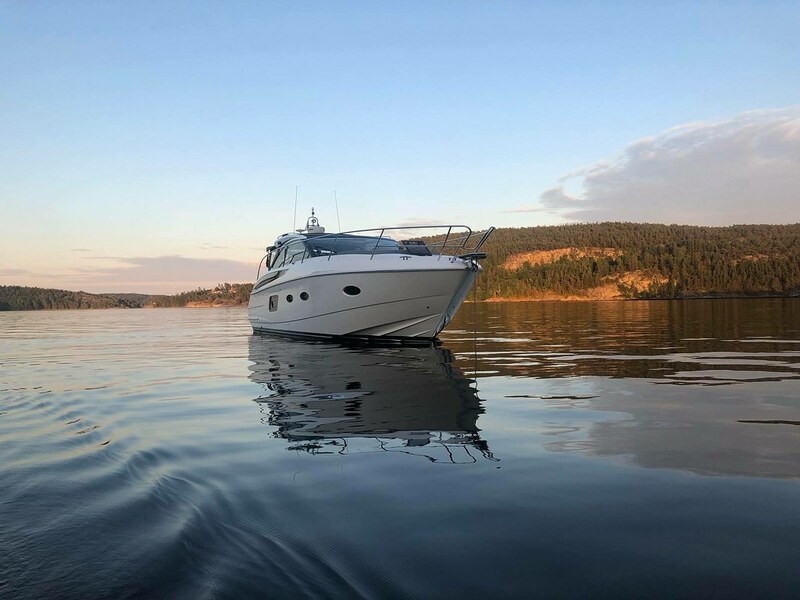 Send your pictures in high resolution format to info@princessyachts.se together with information about the photo; location, boat type, boat name, nationality and photographer. By sending the photos to us, you give us permission to use them without further compensation. We look forward to get in touch with You! You can amend or withdraw consent at any time by emailing us.